Our A to Z nutrition series takes a festive turn. With the family dinner looming, pressure is rising. The holiday season is well loved for many of us, though for some, the upcoming period, full of alcohol, chocolate, sweets and big family meals can be stressful. If you’re watching your weight or are in the midst of your wellness journey, simply knowing the temptations can be enough to make you give up. But you don’t have to. You can enjoy December and all the festive fun without feeling guilty. In fact, you shouldn’t feel guilty for wanting to eat the occasional mince pie – it’s about moderation and balance. But moderation is the key word. 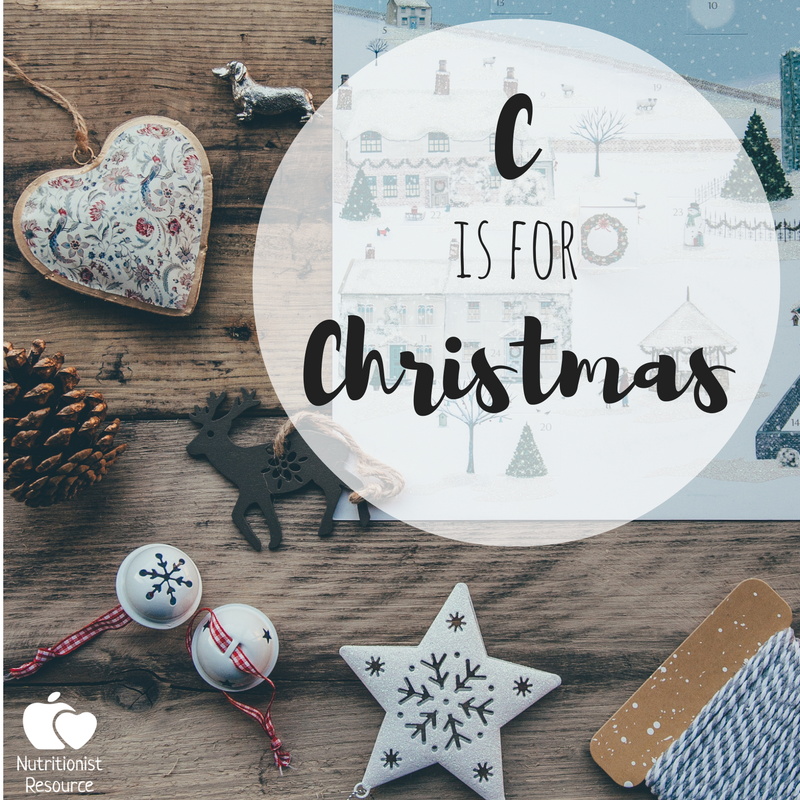 When it’s cold and dark, many of us will sit back and eat to our heart’s content – and you can still do this, but you can make some swaps to help make Christmas a little bit lighter. Mix up your usual Christmas sides and embrace what’s in season. If you want to make your Christmas dinner a lighter meal, why not swap your roast potatoes for crispy, roasted vegetables? Select red onion, purple and orange carrots and chop some Brussel’s sprouts. Bake them in the oven and serve with chopped red cabbage and kale for a festive, colourful plate! Become a morning person and go to the gym as soon as you wake up. It sounds scary, but if you’re usually an evening gym-goer, chances are you’re struggling to find motivation. If you’re talking yourself out of the gym or your evening run because it’s too cold and you’d rather cosy up with a blanket, switch it up! Place your workout clothes on the radiator so they’re warm when you wake up and get to the gym before work. This way, you’re getting your body moving and you get your evenings back! If you’re sticking to your regular meal plan, use your imagination. You can stick to your regular meal plan if you’re really unsure of giving into the festive temptation, but allow yourself to get a little creative. Add festive flavours to your meals so they still excite you. If you like porridge in the morning, try new flavours. Add cinnamon, cacao powder and grate orange for a chocolate orange treat. If you want a warming, satisfying meal, make up some homemade soup with parnsips, sweet potato and other winter veg, or impress friends with a stew! When you treat yourself, really go all out! We’ve mentioned this before, but if you really want to embrace the festive treats, spend a bit more than usual. If you do this, you’ll savour the treats more than if you picked them up on offer. If you don’t want to spent too much money, try making your own alternatives! We’re loving these ‘Healthy Christmas Rocky Roads’.